Twenty five years have passed since the Bombay riots of late 1992 and early 1993. Media coverage today saw us reflecting on this and remembering an interview we did with Hormaz Irani whose father Aspandiar and uncle Behram opened Café Johnson bang next to Sandhurst Road railway station in 1937. 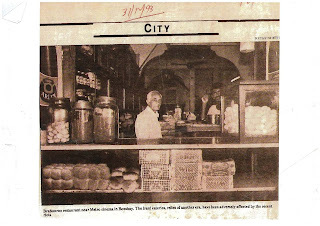 For Hormaz, the closure of his café for weeks during the riots of ’92 and ’93 brought home what he had quietly known for some time - the impending final closure of the family business was nearer than farther. I told my wife at that time that it wouldn’t be long, not much longer. When I sent the staffs back home to their native place I didn’t even know if we would reopen the shop. Very bad time. I had to shut down my restaurant, or else, eh, see my staff were all Muslim. They were pretty close of being killed also. For maybe a month the restaurant was shut and my shop servants used to come to my house, I, my wife used to cook food and give them. For 3 or 4 days when everything was normal then I could return to the railway station, I bought their tickets, and put them in the train, and told them from here now God is with you, you can go back to your village. They’re all from Kerala. I still shiver when I think of those days. Very bad. I just praying to God that I should be successful in saving, I had ten people. Ten people who were working in my restaurant by God’s grace I saved them and then I sent them back to their village. Things were getting pretty bad, very bad to the extent that, instead of earning something out of it, I had to put money from here [a refrigeration business he still operates] over there [the café]. What I was earning here I had to put it over there to maintain that, that’s all. While he did reopen Café Johnson, the death of his father in 2000 gave him license to lease the shopfront to an emerging supermarket chain which he was able to do in 2006. I was happy as well as sad. Sad in the sense that er, I had to close down my Dad’s business and happy in the sense now I had to do it for good because the future generation also has to survive. I was happy that way. 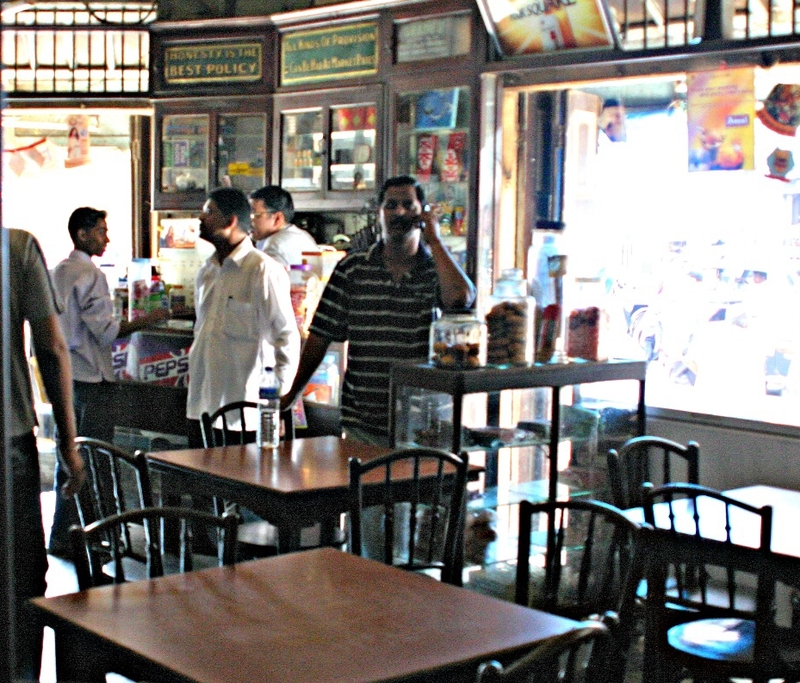 No hope of survival at all with respect to the menu what we had, unless you specialise, like the, the other cafes which are based in very good areas like Colaba and Chowpatty and all. If you have those kinds of menus and those class of people and come and pay and buy those high quality stuff, then you can survive. Dhansak and liquor and beer and all that. Yes. Then, only then, can you sell that but in the old menu we were having you can’t survive. The supermarket chain that leased the site from Hormaz when he closed in 2006 didn’t stay and the site has seen several different businesses come and go in recent years. From an interview with Hormaz Irani, Dongri, Mumbai, 2008. 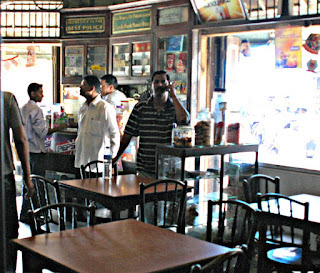 Irani Chai, Mumbai exists to remember and document, through words and visuals, the Irani cafes of Mumbai. 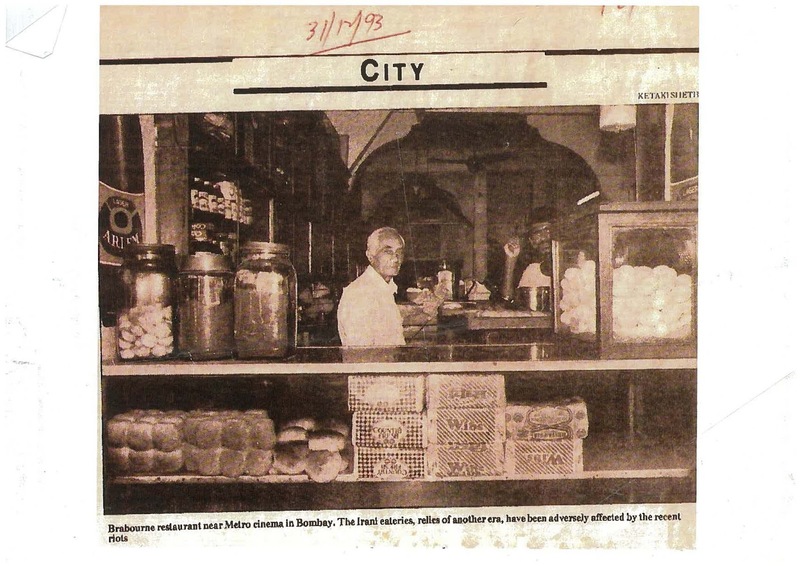 The final aim of the project is to present the story of Mumbai's Irani cafes - and its Irani community - online and in print as an illustrated, affordable popular history book. 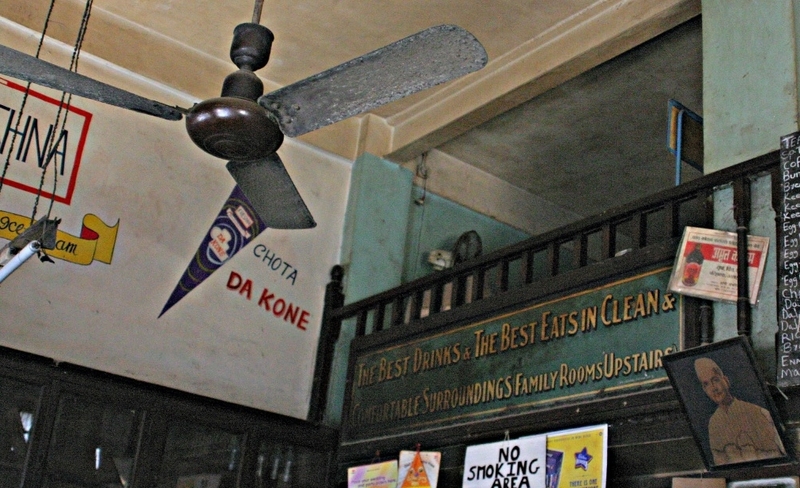 What sits behind the nostalgia for these unmistakably Mumbai social spaces? What are the stories of the families who started them, and what are your recollections of time spent at your favourite Irani? Beyond the fading allure of bentwood chairs and marble tabletops lay a multitude of memories. Irani Chai, Mumbai invites you to share yours.